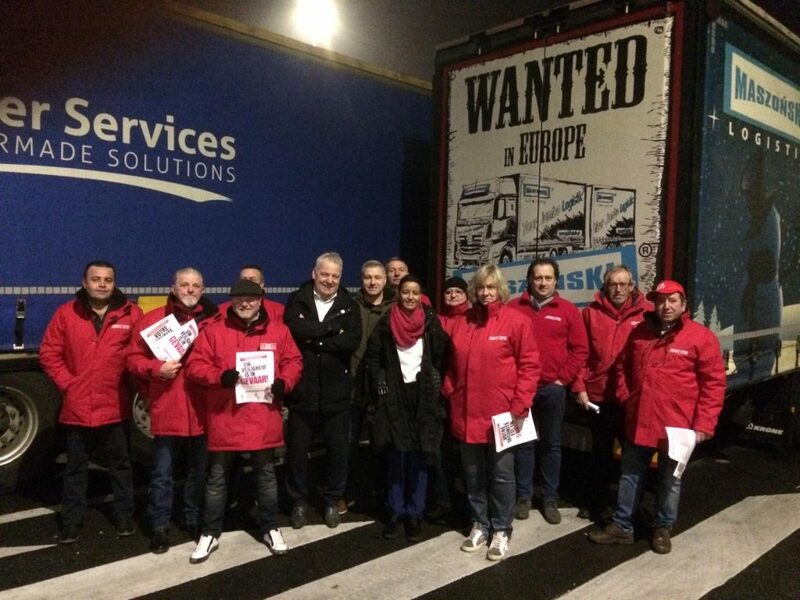 Belgian trade unions BTB/UBT and ACV Transcom organised border actions and reached thousands of road users and bus and truck drivers with leaflets exposing the issues at stake relating to the upcoming European Parliament vote. 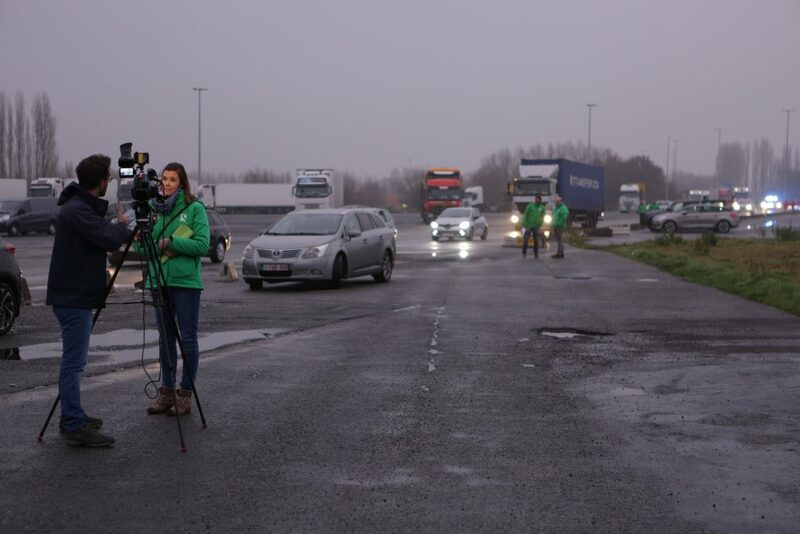 Total traffic blocks, slow-down of traffic flow and parking area actions were organised in Meer, on the access roads to the E17 motorway connecting Antwerp and Rotterdam, in Rekkem on E17 motorway linking Belgium to France, and in parking areas in Zonhoven and in Maasmechelen. MEPs Kathleen van Brempt and Agnes Jongerius joined the action to show their support.